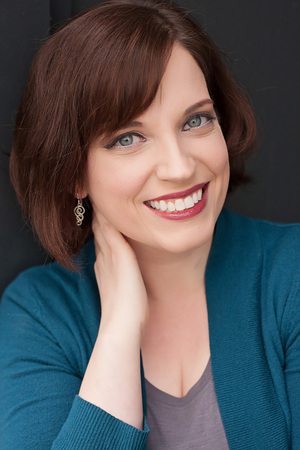 Janene Nelson, SPU vocal faculty and LMC performing member makes directorial debut with LMC opera this month with performances on January 14 at the West Seattle Library and January 21 at Mirabella in South Lake Union, Seattle. Ms. Nelson leads a cast of four singers and one pianist presenting a historical timeline tracing opera from its genesis through the early classical era of Christoph Willibald Gluck. 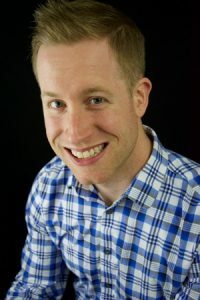 Other notable debut performances include Seattle Opera teaching artist Darrell J. Jordan, baritone and noted Baroque specialist, Lisa Cardwell Pontén of the St. James Cantorei. Biographies of all three artists are below. Janene Nelson is a Seattle-area mezzo-soprano whose “gorgeously sung” performances range from opera and oratorio to early music. Her operatic roles include Dorabella, Third Lady, Prince Orlofsky, Miss Todd, and Nicklaus, and her recent oratorio performances include Mozart’s Requiem, Haydn’s Lord Nelson Mass, and J.S. Bach’s Mass in B Minor. Janene was a founding member of the early music ensemble Vox Resonat from 2011-2014 and sang with the Oregon Bach Festival for seven seasons as a member of the Berwick Chorus. 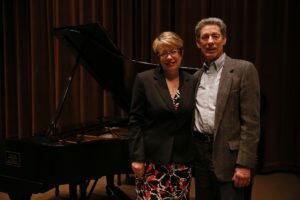 She holds a doctorate in vocal performance and arts administration from the University of Oregon and is currently on the voice faculty at Seattle Pacific University. In demand as a recitalist and concert soloist, Darrell J. Jordan’s recent solo concert engagements have been with Amherst Early Music Festival, the Odyssey Chamber Music Series, Rolla Choral Arts Society, Choral Arts Alliance of Missouri, the Missouri Symphony, the Southside Philharmonic Orchestra, and the Toledo Symphony. Opera credits include Winter Opera Saint Louis, St. Louis Opera Collective, Haymarket Opera Company, Gateway Opera, the Institute for 17th Century Music, the Show-Me Opera, Lawrence Opera Theatre. He will make his Puget Sound Concert Opera debut in the fall of 2017. Additionally, Mr. Jordan is on the Teaching Artist roster for the Seattle Opera. He can be heard as the baritone soloist on the album St. Lawrence Psalter. He is a member and co-founder of the nationally recognized professional vocal chamber ensemble, Vox Nova. Lisa Cardwell Pontén has performed throughout the Pacific Northwest, both as a soprano soloist and a professional choral singer. She has had solo appearances with ensembles such as Northwest Sinfonietta, Seattle Baroque Orchestra, Seattle Pro Musica, Northwest Chamber Chorus, Baroque Northwest, Opus 7 and The Tudor Choir. She is a regular member of Opus 7 Vocal Ensemble, The Emerald Ensemble and the St. James Cathedral Cantorei. Lisa also records soundtracks for film and video games, maintains a private voice studio for teenagers and adults, and frequently adjudicates for contests and competitions. 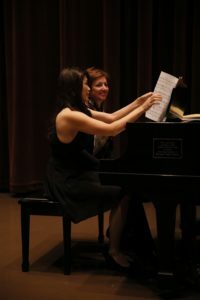 One of her very favorite summer activities is serving on the faculty of Midsummer Musical Retreat, a camp for amateur adult musicians on the Whitman College campus in beautiful Walla, Walla, WA. Lisa received her Masters of Music in Early Music Performance from Indiana University. 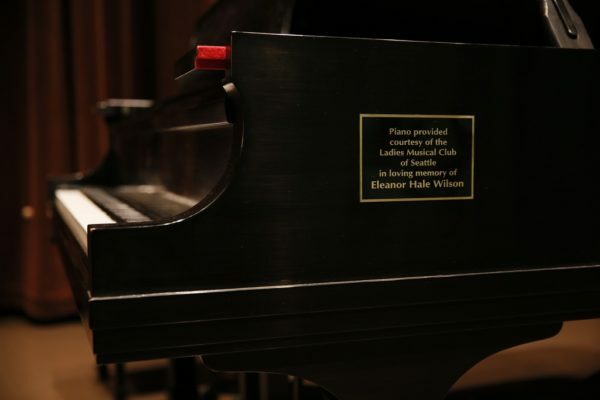 The installation of the Steinway gave LMC an opportunity to honor long-time member and benefactor Eleanor Hale Wilson. In December of 2010, LMC received an unexpected and amazing gift from the Eleanor and Raymond Wilson Charitable Trust. Music was the principal focus of Eleanor Hale Wilson’s life. She was a cellist, a graduate of the University of Washington and an active member of Ladies Musical Club. She served as national president of the music honorary society, Mu Phi Epsilon and taught piano to local youth into her 90’s. She and her husband led a quiet life but generated the means for extraordinary generosity. 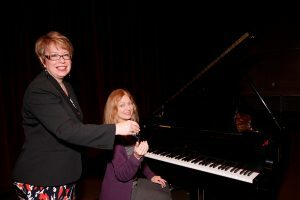 With their help, LMC and many other local programs will continue to enrich the culture of Seattle and Washington State. Trustee of the Eleanor Hale Wilson Estate, Steve Erickson was present at the dedication of the Steinway honoring her. The concert on January 10 will feature songs by Federico Garcia Lorca (1898-1936), Fernando Obradors (1897-1945), Enrique Granados (1867-1916), and Ruperto Chapí (1851-1909) sung by soprano, Clarice Warrick with Lucy Wenger on the piano. Risa Jun and special guest artist, Dr. Yelena Balabanova will conclude with program of piano duets to show off the beauty and richness of this fine instrument. Thursday, December 7 at the Seattle Art Museum features premieres by cogan, marshall and anderson. ​LMC member Jill Carlsen and guest performers from the active Puget Sound recorder community will present a West Coast premiere of the recorder quartet Sughisti, written in 2014 by Racheal Cogan. This composition features an alto recorder with three types of bass recorder: standard bass in F (sometimes affectionately referred to as the “baby bass”), Great Bass in C, and Contrabass, an octave lower than the baby bass. Ms. Cogan composed Sughisti as a gift for Geri Bollinger, who is the maker of the Küng bass recorders featured in her piece. She writes that he came across her website with a photo of her holding one of his bass recorders, heard her music, and sent her an email. This became the start of their friendship. Geri referred to his tomato sauce using the Italian word, “sugo.” Sughisti are the sauce makers. You can get a “taste of sugo” on YouTube. Ms. Cogan was born in Australia and has lived in various parts of the world. Her extensive time in Greece is reflected in many of her works, including Sughisti. She currently lives in Montreal. The program is rounded out by two contemporary vocal works. The US premiere of British composer, Nicholas Marshall’s song cycle The Birds, for soprano, recorder and piano. And, rounding out the program is the winter themed song cycle composed by LMC’s own Janet Anderson, For Snow.